Sounds like you wrote this for me this morning! Just what I needed! I bought dark Blue paint yesterday to paint the kitchen wall. And then…. I got brave and ordered your little golden lamp that I have had an eye on for the longest time. And it seems as if i got the last one. Poooohhhhey! So glad I finally hit the buy button. Thank you! LOVE the advice; but those pink pigeon holes are pernicious!! Abigail, I think there’s a book in that. 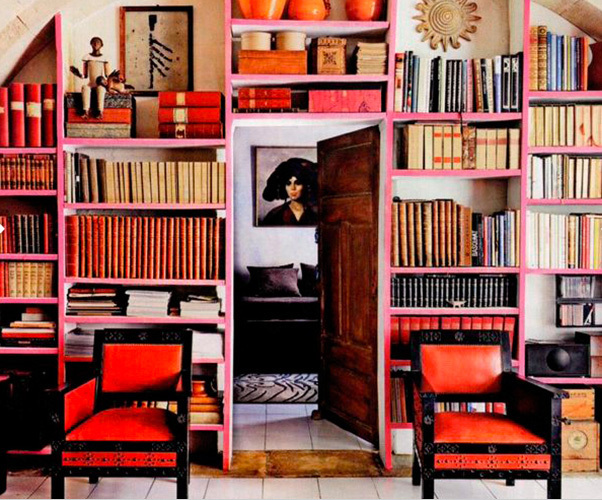 Ever considered a book on interiors that kind of combined with personal development? Your thoughts are so inspiring for so many of us. Yes, you have helped us create more interesting interiors, but for me it’s more than that- it’s helped me have the confidence in my own ideas, believe in myself, take risks, appreciate beauty in the unexpected. These are lessons I take with in my day to day life and for that I thank you sincerly.